Mark your calendars for Dec. 15. 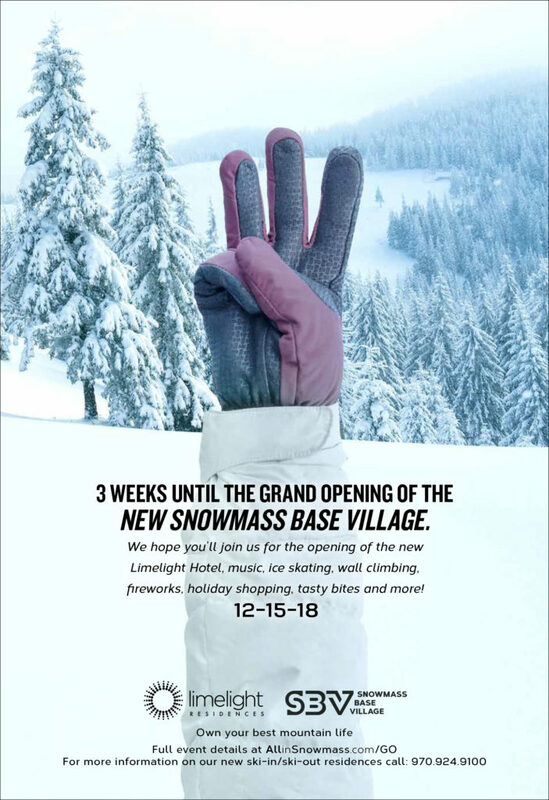 We only have three weeks to go until we celebrate the grand opening of the new Snowmass Base Village and it’s sure to be an awesome party. Festivities kick off at 3 p.m. with a free concert by Karl Denson’s Tiny Universe. See the full lineup by clicking here.